Looking for the best General Range companies? 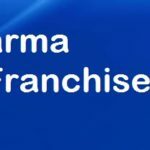 If you are looking for Generic range companies offering general range of pharmaceutical products, then you are at the right place as Pharmafranchisemart.com is the best online directory for finding the top pharma manufacturers, pharma suppliers, pharma franchise companies and pharma PCD companies for general product range in India. We are a trusted platform for showcasing companies that are involved with propaganda and distribution of medicines and other pharmaceutical products and operate in their regions of interest on a monopoly basis. We have aimed to include companies in an effort to cover the entire subcontinent. 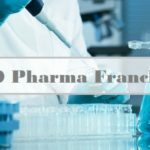 Most of these pharmaceutical organizations operate in and around Himachal Pradesh and Uttarakhand in Northern India where the town of Baddi serves as the focal point for all pharmaceutical activity. Not just these, cities like Chandigarh, Ambala, Hyderabad, Mumbai, Bangalore, Vishakhapatnam, Pune and Ahmedabad are also lucrative destinations for pharmaceutical sector.